For three months Marquel Lucas took a bus from near 60th Street and Fond du Lac Avenue to the end of the line in Hales Corners and then walked for an hour and a half to his job. With the recent addition of the Route 6 bus, he can now board at 60th and Capitol, a five-minute walk from his home, and ride all the way to the last stop at BuySeasons in New Berlin. From there, it is a short walk to Trulite Glass & Aluminum Solutions, 5700 S. Moorland Rd., where his regular shift starts at 7 p.m.
“A lot of people in Milwaukee, in the inner city (don’t drive). Some people have suspended licenses. You’ve got a lot of nice manufacturing companies out here that need people and need production. By this bus being out here, it makes it happen for us,” Lucas said. He travels out of the city because he can earn higher wages and also work a significant number of overtime hours at time-and-a-half, Lucas said. Nevertheless, the commute has its challenges. Lucas missed the 7:55 a.m. bus from New Berlin after working overtime on a recent Wednesday. He had to wait three hours for the next bus to the city. The Milwaukee County Transit System launched two new bus routes in August between the central city and two suburbs where many employers are located. Route 6 runs west on Capitol Drive to Mayfair Road and then south to Brookfield Square and Moorland Road, stopping at FedEx and ending at BuySeasons. Route 279 runs from Burleigh Street and Fond Du Lac Avenue north to 76th Street and northwest to Menomonee Falls via Highway 145. In the first two and a half weeks of service, Route 6 has carried up to 280 rides per day while Route 279’s highest number has been 77 rides per day, according to Jacqueline Janz, chief marketing and communications officer for MCTS. “It takes about a year for a route to reach its peak ridership per day,” she said. Only then can MCTS provide ridership data that reflects an accurate picture of what is happening on a bus line, Janz added. “We are very pleased to see the high ridership on Route 6 so early. We believe BuySeasons and FedEx currently hiring personnel has boosted those numbers,” Janz said. She added that ridership on Route 279 is off to a good start and is meeting expectations for this early stage. 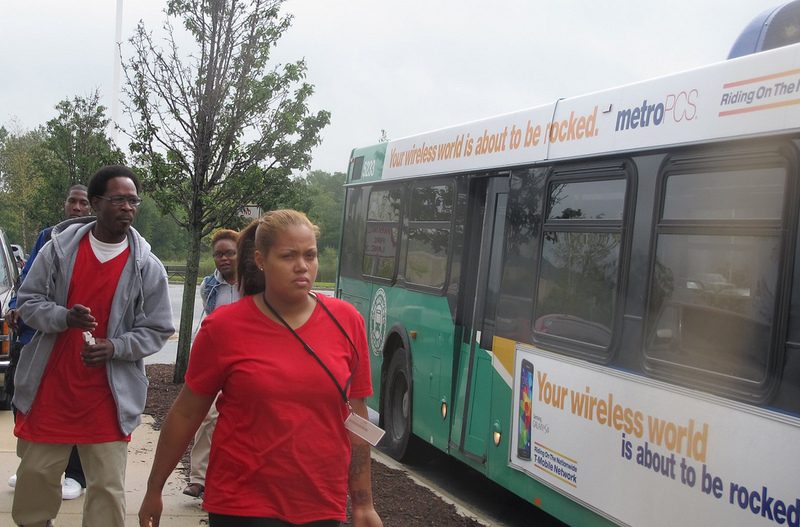 On a recent weekday morning, between 15 and 20 people rode the Route 6 bus to New Berlin to work or apply for jobs. The 9:20 a.m. ride took 78 minutes. 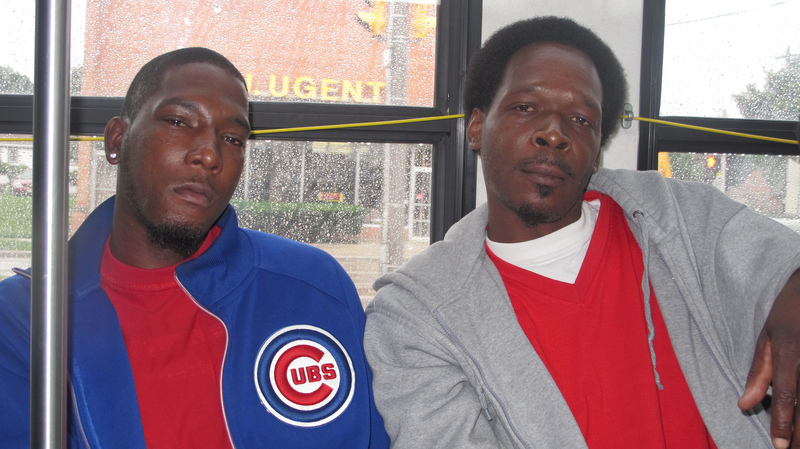 Frederick Williams, 34, and Jovan Armstrong, 30, were travelling together to apply for jobs at BuySeasons. They said they did not have access to computers to apply online and preferred to go in person in the hope of starting work that day. Ronald Fillyaw, 24, took another bus from 35th and Juneau streets, near his home, to pick up the Route 6 bus. He has worked in New Berlin before, and rode with a cousin who had a car. This time, he was taking the bus to BuySeasons for an interview. BuySeasons is an online retailer and supplier of costumes, accessories, seasonal décor and party supplies. Several days later, Williams said that he was not able to start working the first day because he had not brought an ID card, thinking that the photocopy of his ID that he took with him would suffice. BuySeasons also requires a drug screening that Williams underwent at another location in Brookfield. 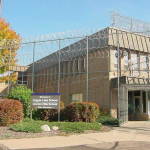 He said he did all that BuySeasons asked of him, making additional bus trips to Brookfield for the drug screening and to New Berlin to show his ID. He said he passed the drug test and hoped to begin work this week. 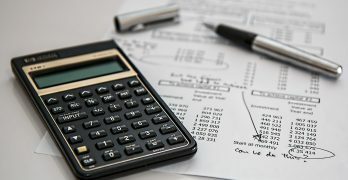 “I need to start working as soon as possible because I’ve got bills to pay,” said Williams who was laid off from his last job about two months ago. Job seekers attending an employer information session at the Black Health Coalition of Wisconsin offices last month were presented with a strict dress code and other rules they needed to follow to get an in-person interview at BuySeasons, an employer in New Berlin. Armstrong said he was unable to start working the first day he went to BuySeasons because his ID was expired and he had to order a copy of his birth certificate from Illinois. When he receives it, he will apply for a Wisconsin state ID and expects to be able to start immediately in a seven-week temporary position paying about $8 per hour. He hopes that he will be able to get a permanent position once he has established a good work history with BuySeasons. Williams, Armstrong and Fillyaw all said they have criminal records but have stayed out of trouble recently and have training and good work experience. Williams noted that he graduated from a Community Corrections Employment Program (CCEP), Project Return, and Big Step and has OSHA 10 and lead abatement certifications. Williams and Armstrong held jobs deconstructing buildings through Northcott Neighborhood House, they said. BuySeasons has many job openings, according to Eric Becher, sales director for Hatch Staffing Services. FedEx in New Berlin is also hiring 175 permanent employees before Oct. 17 and 150 to 200 seasonal employees after that to work through Jan. 15. All employees will start at $10 an hour, according to Dan Andres, human services manager for FedEx. The new routes came about after the American Civil Liberties Union of Wisconsin and Midwest Environmental Advocates filed a lawsuit on behalf of Milwaukee Inner-city Congregations Allied for Hope (MICAH), and Black Health Coalition of Wisconsin (BHCW) against federal transportation agencies and the Wisconsin Department of Transportation. The suit alleged that the $1.7 billion Zoo Interchange Reconstruction and Expansion Project, approved by the Federal Highway Administration, did not adequately address the needs of persons who rely on public transit.